Is my state pension wrong – and running out? 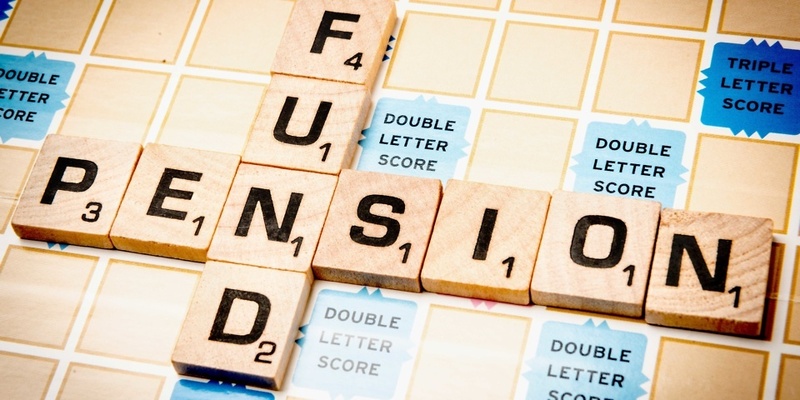 A double whammy of bad news concerning the state pension hit the headlines last week, with fears raised that people are receiving incorrect state pension forecasts and, worryingly, that the fund that pays out the state pension to future retirees is soon to run out. New reports surfaced in the Daily Mail, citing inaccuracies in the state pension forecast calculator. This occurs when savers have spent part of their working life saving into certain types of workplace pension and ‘contracted out’ of the additional state pension scheme. And a report from the Government’ Actuary Department laid bare the pressures on the ‘National Insurance Fund’, which collects National Insurance contributions taken from employees and companies to pay out benefits – the largest being the state pension. The Department has stated that, without intervention, the fund could run out by as early as 2032, plunging the future of the state pension into doubt for generations to come. In this Q&A, Which? Money explains the latest on the state pension, and what action you can take to understand what state pension you can expect. Q. How much is the state pension? State pension amounts may differ depending on when you retired, and how much you contributed to the additional state pension. For those that have yet to qualify for the state pension, you may get more, or less, than £159.55 a week, depending on whether you were contributed to the additional state pension, or you were ‘contracted out’ of the additional state pension when you were saving into your private pension. Q. What was contracting out? In 1978, the government introduced a second-tier top-up pension, in addition to the basic state pension, which was based on how much you earned. Originally called the State Earnings Related Pension Scheme (Serps), it later became the State Second Pension in 2002. Before reforms in 2016, employees were allowed to ‘contract out’ of this additional pension. This meant paying lower National Insurance contributions and giving up the additional pension to put the money towards a workplace or private pension instead. Only members of a defined benefit pension scheme could contract out members. These schemes provided a guaranteed income after retirement. In 1988, the government extended this to include defined contribution schemes and personal pensions. These schemes invested contributions from both employers and employees to provide a pot of money for retirement. The single-tier state pension was introduced in April 2016 and the previous system where you could ‘contract out’ of paying full NI contributions was scrapped. Q. Is this causing an issue with state pension forecasts? Your state pension forecast will include two pieces of information if you were contracted out of the additional state pension. You’ll see an estimate of the state pension you can expect to receive – this may be less than the current state pension rate, as a deduction may be applied to reflect the period when you were contracted out and paying more into a private pension. You may also see a something called a Contracted Out Pension Equivalent (COPE), which is the equivalent of the state pension you would have received if you’d have remained contracted into the additional state pension, but should be paid by your private pension scheme. It is based upon your National Insurance record. The most recent concern seem to centre around the accuracy of this COPE payment and the deductions that have been applied to your state pension. This is because HMRC doesn’t always hold up-to-date information on these payments from private pension schemes, meaning that the forecast may not always be a true reflection of the value of the COPE payment and what you’ll ultimately get when you reach state pension age. Q. Is this a new problem? Is it going to be fixed? This became an issue when the state pension was reformed in 2016. Under the old regime, you would have received the basic state pension and any additional state pension your may have built up when you were contracted in – and forecasts were a true reflection of what you would get. Under the new system, a higher single tier has been introduced, combining the additional and basic state pension together. Your amount cannot be lower than you would have received under the old system, but now a complex calculation has to be applied to the state pension to work out what you’re entitled to, including any additional state pension you’ve built up and any contracted amount payments that should be deducted. If the government doesn’t have up-to-date data, it may be calculating the value of COPE payments using incorrect rates, which makes providing a completely accurate forecast more challenging. HMRC was due to contact millions of people to help them understand how contracting out would impact on their state pension, but reversed that decision in November last year. Pension schemes have until the end of this year to provide HMRC with all the information it needs to properly recalculate your state pension. So it looks like this could be an issue until at least December 2018. Q. What can I do to check my state pension? If you are a worker or know someone who falls into this category, the first step is to use the State Pension Forecast service ‘Check your state pension’, available on GOV.UK or via the Personal Tax Account. Further clarification about your state pension breakdown can also be provided by contacting the Future Pension Centre of the Department for Work and Pensions. You could also request that the Department for Work and Pensions does a manual check of your entitlement to the state pension, although this could take a couple of months. Q. How do I increase my state pension? There are a couple of options. To qualify for the full state pension, you need 35 years’ worth of National Insurance contributions. If you have gaps in your record, you can buy ‘Class 3’ voluntary contributions to get you up to the maximum. You can find out more about this in our guide to topping up the state pension. Alternatively, if you can afford to delay when you collect your state pension, you get a boost for deferring. You get 1% for every nine weeks you defer, resulting in 5.8% per year. Q. Okay, but will I get a state pension at all? Is the fund really running out? It appears so. The National Insurance Fund is essentially an big savings account that collects the National Insurance contributions you make from your earnings, and the National Insurance paid by your employer. For 2017-18, the National Insurance threshold is £8,164 a year. If your earnings are below the earnings threshold, you pay no National Insurance contributions. Employees pay 12% on earnings between £8,164 and £45,000 and 2% thereafter. The self-employed pay 9% on their taxable profits between £8,164 and £45,000, and 2% thereafter. Use our calculator to find out how much National Insurance you’ll pay this year. Some 90% of what is in the fund is spent on the state pension, with the rest spent on other benefits. In essence, today’s workers pay for today’s pensioners. The latest review of this fund found that its balance is currently at around 20% of annual expenditure. Legally, it cannot be lower than one sixth of annual benefit expenditure. But the impact of longevity – ie; more people claiming the state pension for longer because of increased life expectancy – and the generous mechanism for increasing the state pension, called the triple-lock, are putting serious pressure on the fund. If the state pension continues to be paid out in its current arrangement, the National Insurance Fund will run out by 2032. Q. What happens when the fund runs out? Will I stop receiving my state pension? There is a legal mechanism in place to ensure that benefits continue to be paid. This is called a Treasury Grant. The maximum Grant the government can pay is 17% of the benefit spending. While this could be used to replenish the fund, it would only last until 2040, and then exceed the legal maximum in most years after that. The Government Actuary Department suggests that more radical action will need to happen. Q. What does that mean? Will I have to pay more in to the National Insurance Fund? Potentially. The review suggests that National Insurance contributions would have to rise by about 5% for the fund to break even. This could fall on employees or on businesses. The government did try to increase National Insurance contributions for the self-employed in the 2016 Budget, but quickly performed a u-turn after a backlash. Once you reach state pension age, you no longer pay National Insurance contributions. The government could consider changing this so that people in receipt of the state pension are also contribute to the National Insurance Fund to spread the load across generations. Q. What about increasing state pension age, or doing away with the triple-lock? Would that help? It doesn’t seem so. The Government Actuary Department modelled these scenarios, with faster rises to the state pension age and by swapping the triple-lock with increases based on earnings only. Even with these changes, the National Insurance Fund would be exhausted by 2035. Q. This sounds serious. Should I be worried? Solving the challenges of the National Insurance Fund will require some potentially painful political decisions, and it remains to be seen how governments – present and future – will react to them. How to make the most of the pension freedoms.